Home Seasonal Delectable Mothers Day Desserts Sydney Mum’s Will Love! 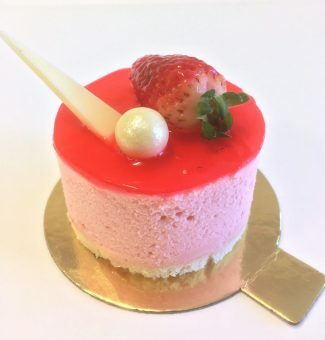 Delectable Mothers Day Desserts Sydney Mum’s Will Love! Mum should be enjoying the finer things in life on her special day. Our range of delicious Mothers day desserts may not be as sweet as her, but they sure will brighten her day! Order online today & spoil your mum this Mothers Day! Our biggest selling Mothers Day dessert is the gushing heart. These portioned gelato desserts are a big hit! Strawberry swirl gelato in the shape of a heart, is coated in pink chocolate and filled with a gushing strawberry liqueur centre. What’s not to love! Indulge your mum’s sweet tooth with a box of our mouth-watering macaroons. These dainty little French treats are the perfect way to make her feel super special this Mothers Day. If chocolate is your mum’s sweet of choice, pick up one of our famous chocolate mud hearts. Filled with moist Jamaican mud cake and topped with lashings of chocolate ganache, these cute little hearts are topped with a Happy Mother’s Day message and an iced rose. If the whole family is celebrating together, try one of our delicious Mothers Day cakes. 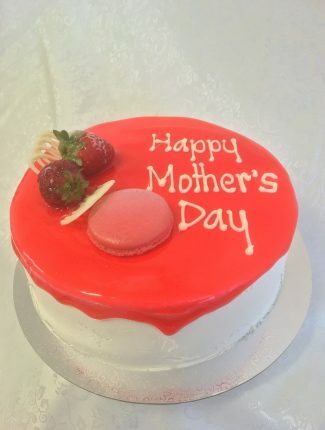 A popular choice is our glazed red velvet cake with layers of cream cheese icing, finished with dripping white chocolate & a Happy Mothers Day message on top. Or if gelato is your jam, pick up one of our 8 inch gelato cakes with chocolate & hazelnut filling topped with buttercream & strawberry glaze. Next Post	Make an impact with only 2 tiers!